While I was raised in California I support a team across the world in London, The Chelsea Football Club of the English Premier League. You may know that Chelsea just won the Champions League title this past Saturday in Munich against the favored home team, Bayern Munich. For folks in the States, Chelsea just won the Super Bowl. Throughout their regular season, Chelsea did not play exceptionally well. Yet, out of adversity they pulled it together and persevered as a team to the end. On a personal level I am very happy. On a professional level I find lessons here for us as leaders. Chelsea football and their run to the top club in Europe this year serves as a great example for all of us, sport fan or not. The season started with much hope as Andre Villas-Boas joined Chelsea as the new manager. It all fell apart as the season progressed. The biggest mistake for the new boss? He alienated and poorly communicated with the established veteran players on the team. Many of us have stepped up to lead a new team. We know to build relationships with the team members especially the experienced team leaders in the group. For Chelsea the new manager did such a poor job of communicating that the team results suffered and eventually the ownership fired the new coach, less than one season into his tenure. The man who took charge to finish the season was Roberto Di Matteo. He quickly sought out the experienced team members and brought them back into the fold. From all reports he communicated well with his team and brought back a positive energy. Chelsea began to win again. 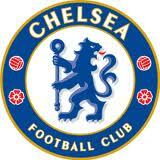 Outside observers said over and over that Chelsea was lucky and good fortune was smiling on them. If you allow me to say, we can create our own good luck by how well we treat our team members, communicate with them, and focus on our joint success. Di Matteo also knew the strengths and weaknesses of his team. In a nutshell, Chelsea could not play the open-field attacking game against the top clubs and expect to win. Their strength was defense and taking advantage of that one opening to counterattack. They did it to perfection. For us as leaders understanding our team strengths and leveraging them is critical. We need to recognize our team weaknesses too and decide on how best to resolve any shortcomings. It was a magically end to a crazy season for my team Chelsea. The interim manager, who I hope they hire full-time, in his own quiet way demonstrated such strong leadership. His team followed his lead and became closer, more united, and flat-out believed. Such a team yours or mine, moving together, can move mountains. I think you are spot on – great blog, lets hope wisdom previals and Di Matteo gets a chance. Thanks Charles – other teams in other years provide similar examples for the power of teamwork and a solid leader to show the way, but I love this Chelsea example. It was far from perfect, but when it mattered all worked out great.